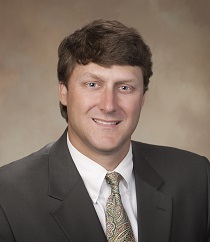 Parker attended Delta State University (1992-1996) where he was a four year letterman in football and earned a Bachelor of Science degree in Mathematics. He spent the next 13 years coaching football, track, and cross country as well as teaching math. Parker joined the Wellspring Wealth Group March 1, 2015. He is a registered rep with Cambridge Investment Research and holds FINRA Series 6 and Series 63 licenses. He is licensed in several states not only to market securities but also life, health, disability, and long term care. Prior to joining Cambridge Investment Research, he spent six years with MassMutual and two years with PFS Investments. Parker uses his background as a teacher to educate his clients on the vast number of insurance and financial products available to us today. He takes pride in coaching his clients through all stages of life into retirement. Parker is married to Michelle and they have two children Addie and Wilkes. They live in Madison and attend Highland Colony Baptist Church. Michelle is a school teacher in the Madison County School District and both children attend Germantown.